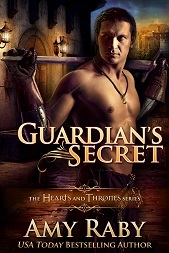 First an administrative note: the manuscript for Prince’s Fire (book 3 in the Hearts & Thrones series) is due to my editor in less than a month. And I’m coming right down to the wire on this one. I still have to write the last two chapters, plus the whole thing needs a great deal of revision and polish. So I’m in crunch mode, pouring virtually all my writing time into the manuscript itself, and blog updates will be infrequent for the next month. Lately I have been listening to a series of lectures on ancient history by Professor Gregory S. Aldrete (you can find them here), and these are absolutely fascinating. I highly recommend them. Dr. Aldrete talks about geographic determinism, the idea that human cultures are shaped by the geography of the lands they live in. He gives many interesting examples. For example, consider ancient Mesopotamia vs. ancient Egypt. Mesopotamia was a huge, open mud flat. Great for agriculture, poor in other resources (including such basics as wood and stone). The Mesopotamians built virtually everything out of mud and reeds. Their houses were made of mud bricks. They even made their sickles out of mud! Mesopotamia was prone to sudden, violent storms and floods that destroyed everything in their path–even “melting” the mud houses the Mesopotamians lived in. There was no way to predict these storms; it was just random disaster that struck capriciously. As a result, the Mesopotamians had a pessimistic culture. They considered their gods to be remote and unknowable, raining disaster upon them at will. Numerous of their aphorisms suggested that no matter what you did, it was all going to come to ruin. And the afterlife they believed awaited them was grim: no matter how you behaved during life, you spent the afterlife in a dark, dusty desert below the earth, suffering for eternity. Compare to ancient Egypt, where the weather was gentle and cyclical. 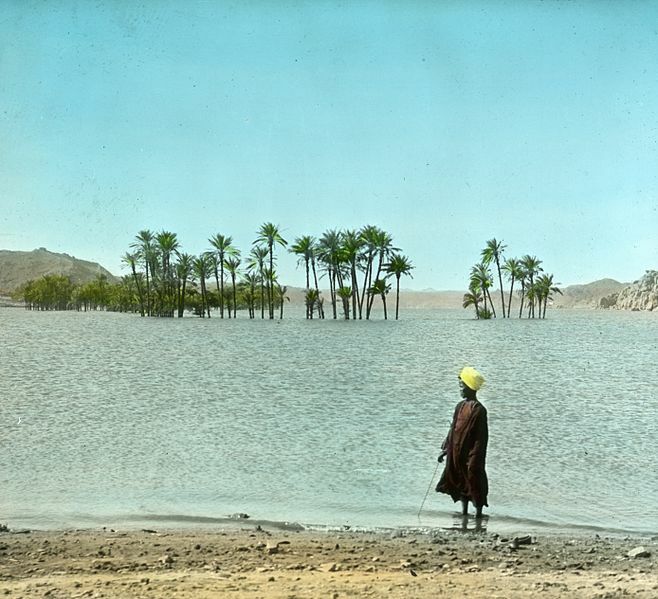 The Nile flooded at the same time every year, depositing rich soil on their farmland. Their climate was predictable and beneficial, and their culture developed along entirely different lines. They were obsessed with cycles of death and rebirth, similar to the way the Nile died and was “reborn” every year when the flood arrived. They saw the world as an orderly place, and their religion was both gentle and moralistic. If you sinned in life, there was no concept of a “hell” or eternal suffering; your soul was simply snuffed out. If you had lived a moral life, you would enjoy an afterlife of ease and plenty. Egypt’s predictable and beneficial climate led its people to believe that life was orderly, while Mesopotamia’s harsh and unpredictable climate led its people to a more pessimistic, fatalistic outlook. This entry was posted in Fantasy, History and tagged ancient history, egypt, geographic determinism, mesopotamia. Bookmark the permalink. That’s very interesting. So I suppose there’s a lot to take in when deciding on the sort of geography for your story world since it might change the overall outlook of the peoples who live their and what their religions might be. Yeah, I would think so. The professor gave other examples, too. For example, ancient Greece experimented a lot with methods of government because it was too mountainous to be united into a single nation and consisted of many separate city-states. So many separate governments. Super interesting! So, if I live in Rainier Valley, where sense of community is strong but crime is high, should I be optimistic or pessimistic? I’ll have to noodle that on over, LOL! It would be an interesting exercise to reflect on what Seattle’s geography and climate would lead us toward, if we were ancient people without modern conveniences (the Native American tribes of the Pacific Northwest would probably give us some clue). The weather is rather gloomy and uncomfortable, but also gentle and predictable.